Beautiful new Drupal website for Military Families United launched by WDG. 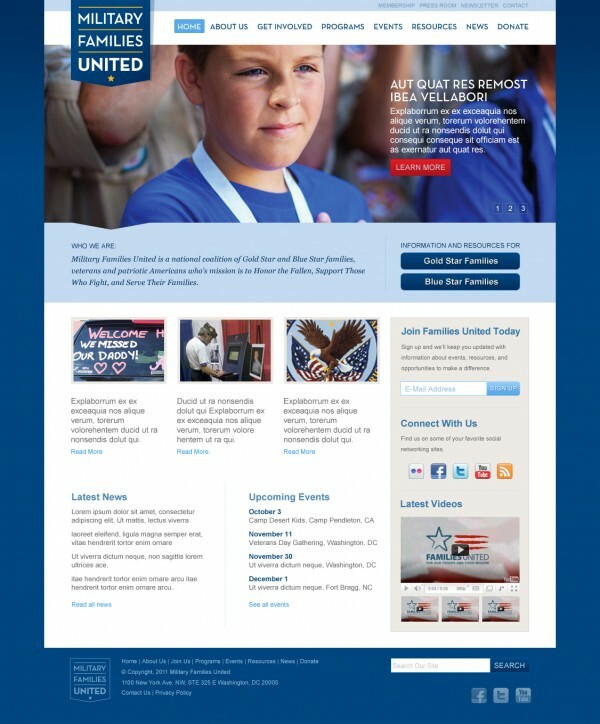 The team at Web Development Group is thrilled to launch the new Drupal website for Military Families United. www.militaryfamiliesunited.org/ is a very unique website because of the cause as well as all the features that are incorporated with this website. In addition to designing and implementing a custom Drupal theme, the technical team also implemented and integrated the open source civicrm system to help Military Families United manage volunteers, different levels of memberships, donors and publish and collect data for future events.